So I’m 9 days past my due date. Nine days is a lot of days to wake up and think a new PERSON might join your family that day…and then go to bed wrong. It’s exhausting, people. The anticipation. The expectation. The excitement. The toddler. I walked two miles yesterday and made two chicken pot pies and did one load of laundry…that MEANS SOMETHING, right? So far, no. No, it doesn’t. I think by this point, I’ve had every single early labor “symptom” possible, and guess what? Still pregnant. Guess what else: our culture is horrible at waiting. I am horrible at waiting. We just don’t do it. We almost never have to. Two day shipping, fast food (Culver’s cheese curds NOW. PLEASE. ), instant downloads, etc. etc. We don’t really know how to wait and we don’t like waiting. It is uncomfortable. It is inconvenient. And it requires us to trust. 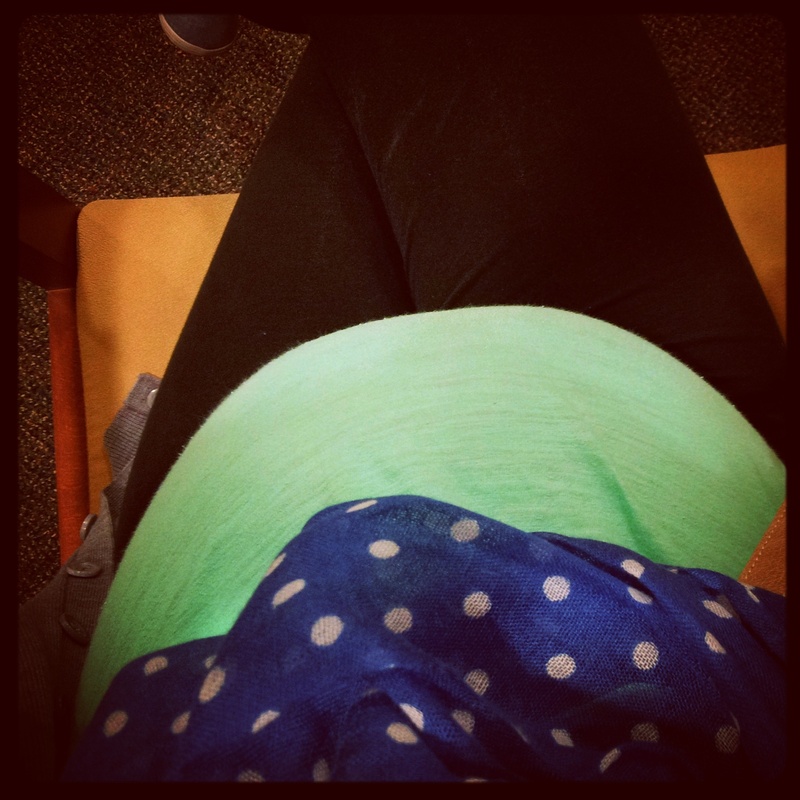 I’ve written a few times about how the Lord has used this pregnancy to develop peace and trust in my life. This period of being “overdue” has been no exception. I find myself praying multiple times a day, for everything from physical and emotional endurance to the relationship that will develop between my two sweet girls. I was struck in my Bible reading last week by how Matthew introduces the temptation of Jesus. You see, for whatever reason, I find myself living like following Christ is some percentage the Holy Spirit’s work in my life, and some other, probably larger percentage my ability to keep it together. And let me tell you what, Lindsey at 40 weeks and ___ days pregnant has no ability to keep it together. None. Whatsoever. At all. I’m willing to bet that Lindsey with two kiddos under two won’t have much capacity for keeping it together either. If there is one thing I have been struck by throughout this pregnancy, it’s the extent of my own human frailty and the overwhelming magnitude of God’s grace. It’s my physical limitations, my inclination to worry, my reluctance to trust; and the Lord’s patient teaching, deep comfort, and rich peace. I have noticed my appreciation and deep need for these things greatly intensified in these last nine days. And I’m grateful for that. In this season of extended waiting, the Lord has been continuing to tend the garden of peace in my heart, even when I resist. Even when I lay awake at night coming up with all the reasons to worry. In this waiting, he is growing something, and I don’t want to miss it. I want to submit to it. I want to be grateful for it. I’m also grateful for naps.